We’ve been talking a lot about baseball and Hurleybutt Field, but now let’s take a look at a REAL Hall of Famer from back in the day! 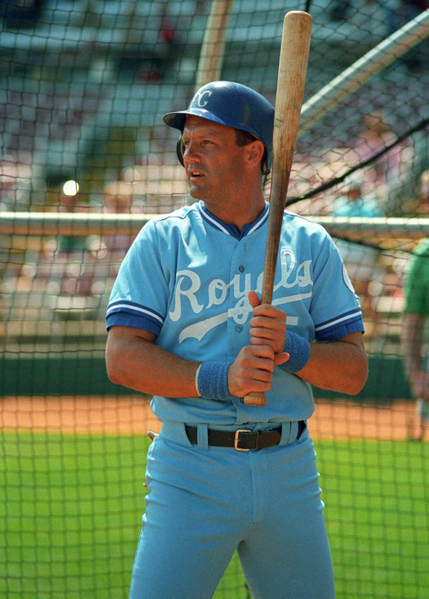 George Brett spent all 21 seasons of his career (1973-1993) with the Kansas City Royals, during which time he launched 3,154 hits – the most of any third baseman in MLB history and 15th of all-time! He joins Hank Aaron, Willie Mays and Stan Musial as the only players with over 3,000 hits, 300 home runs and a career batting average of .300. Nuts, right? He’s also the only player to have won a batting title in THREE DIFFERENT DECADES!!!!! Time never slowed this guy down, and neither did anyone else. George Brett goes down in history as one of the most complete baseball players to ever play the game. Do you have a favorite old-school player you want us to write about? Tell us on the FunGoPlay Forum. OR… if you’d rather play, login to FunGoPlay and head to Hurleybutt Field for awesome baseball games! Posted by fungoplay on August 12, 2011 in Sports.